So it has occurred to me recently as I reviewed my own personal library that I might be a liberation theologian. Dozens of titles in my collection are written by people who identify as such or contribute to liberation conversations. Many of these books have been among my most influential reads within the last several years. I share them here in case you, too, might lean toward liberation. Gustavo Gutierrez wrote the seminal work on liberation theology. This is a master work. I read this a few years ago during a Burundian summer and think it should be required reading for every community development practitioner, at least! Gutierrez says this is really an extension of his theology of liberation. In this small but thick volume he articulates a spirituality of liberation that is clear and compelling and, again, required reading in my opinion. Boff is known to be a liberation theologian, and you see the threads of liberation thinking in all he writes, my favorite is this poetic work on creation and ecology. He also has a wonderful book on the Trinity, Holy Trinity, Perfect Community, that is worth a read. 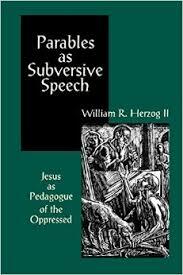 This is how a liberation theologian unmasks the parables – so skilled and subversive indeed. You don’t have to agree with every conclusion to still benefit from Boff’s exegetical approach to the parables, Espevially when it comes to economics, he brings new understanding to stories we thought we already knew. I am part way through this heavy text. James Cone articulates liberation theology from the African American context. 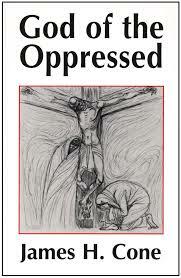 Another highly recommended book by him is The Cross and the Lynching Tree. This is the best single book I read last year. 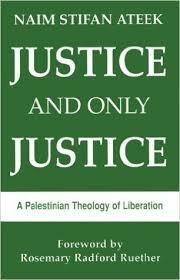 Listening to a Palestinian Christian talk about the land of Palestine and the Scripture broke open new vistas for me. I cannot recommend this highly enough. This work is referenced in many of the other articulations of liberation, and so it is a seminal text in the liberation canon. 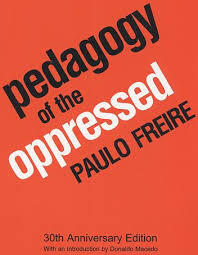 Freire writes as an educator, but he is a liberator at heart! This is another book I would require for all development practitioners, by the way. 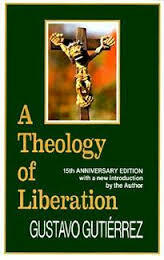 What works of liberation theology have you read and learned from? I am especially interested in more works by women. Kelley, thank you so much for putting this together. I have not read any of these and have wanted to go find some more reading on liberation theology. My introduction to liberation theology is by way of Paul Farmer and got introduced to Fr. 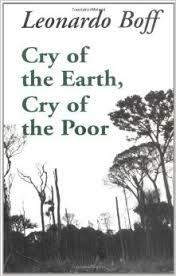 Gustavo Gutierrez with “In the Company of The Poor, Conversations with Dr. Paul Farmer and Fr. Gustavo Gutierrez”. Edited by Michael Griffin and Jennie Weiss Block. 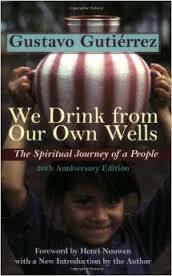 I read this when on sabbatical in Haiti. The whole idea of accompaniment was very intriguing to me and resonated with my experiences while there. Lisa, I have In the Company of the Poor on my nightstand right now! I look forward to diving in sometime soon. Blessings to you and your on-going learning, serving and loving.